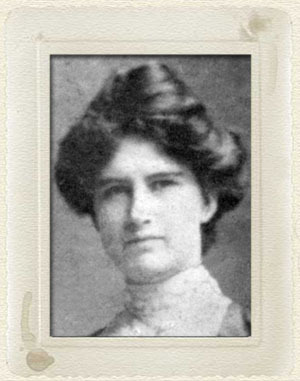 and her mother, Lenna Cox Wilcock. Thanks! 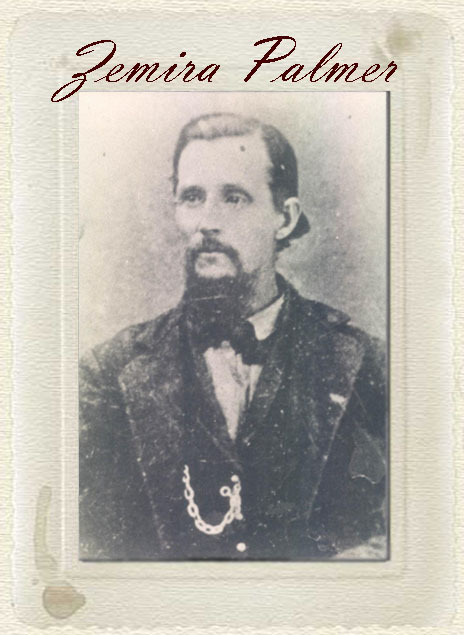 Unless otherwise noted, the main source for this blog (including the introduction) is a history titled “ZEMIRA PALMER, 1831 – 1880, His Life and Family in Early L.D.S. Church History.” This history was prepared by Lenna Cox Wilcock and sent to Deniane Kartchner via email by Lenna's daughter, Lucile Brubaker, with Lenna and Lucile's permission to post on this blog with the stipulation it be used for family history purposes only and not for financial gain. Lenna and Lucile are descendants of Zemira Palmer through his wife Caroline Jacques. I have posted the history in segments exactly as Lenna wrote them (with the exception of adding details needed to help the sections stand alone). 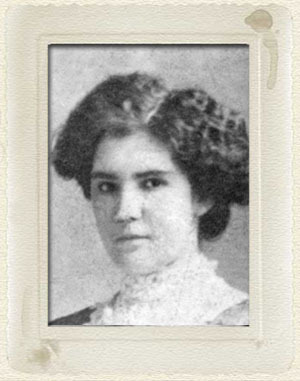 Zemira Palmer was born the year after The Church of Jesus Christ of Latter-day-Saints was organized in Fayette, New York. Living amongst the earliest “Mormon” converts, his entire life and that of his family was inextricably inter-woven with that of the early Saints. The faith of the Palmer and Draper families, as with all the Saints, was severely tried and tested as they were swept along in the turbulent stream of Mormonism in its desperate struggle for survival while defending their freedom to worship their God as they chose. As Utah Pioneers they contributed greatly in making the desert blossom as a rose in the rugged western American frontier. 1- Excerpt from letter written by Zemira Palmer to his sister Lovina Palmer Munroe Sept. 18, 1880. Our family went to San Diego in 2008. None of the stuff below was here then. 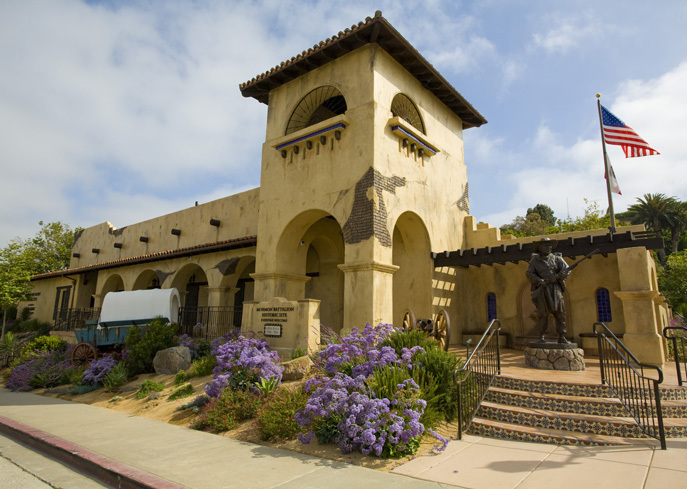 Check out the Mormon Battalion Visitor Center at the link below! And check out this blog! So cool!!! The link above gives a description of the inside/tour of the visitor's center. The photo description says: "The young man you see through the window is Zemira Palmer, son of Phoebe Draper Palmer Brown and stepson of Ebenezer Brown. Phoebe and her son made the trek west with Ebenezer, Phoebe as a laundress and Zemira as an aide to the officers. The new media presentations use an actor portraying Zemira as the main narrator." SWEET! I want to go back to San Diego NOW! I love those links, Deniane! Wonderful. I want to go, too. Lucile Brubaker (and her mother Lenna Cox Wilcock) are also contributing to this blog. This wonderful site includes links and photos!